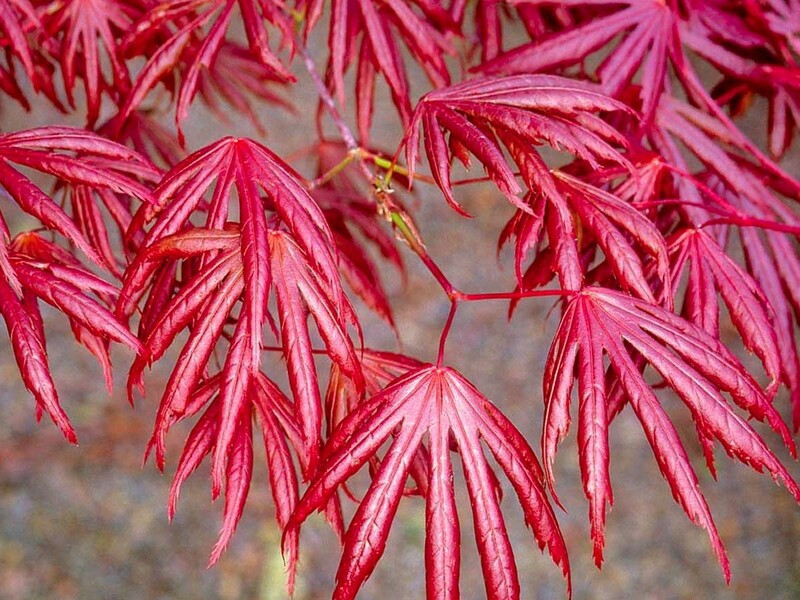 Acer palmatum Trompenburg is a really attractive Japanese maple with an upright habit that broadens with age. If allowed to grow to full size it can reach as high as five metres or a little more, it is however easily kept at a compact small size. 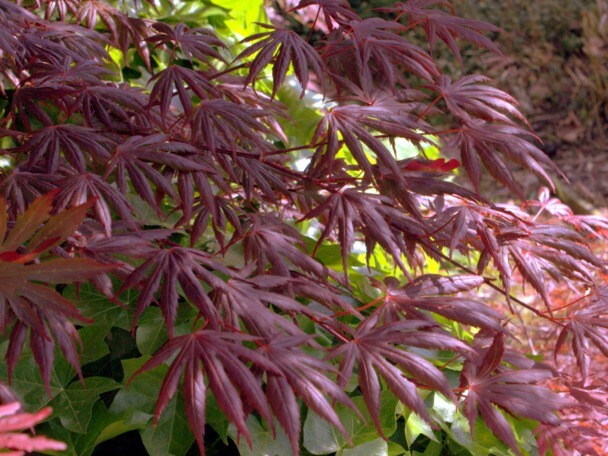 The foliage is beautifully palmate unfolding dark reddish-purple turning reddish-green and bronze in late summer. In Autumn the whole tree will take on lovely crimson red tones. Few trees have both the spring foliage display and the impressive autumn display of this superb maple. Supplied at approx 1.2-1.5 metres tall in an approx 5ltr container.